Are you being asked to give a Wedding Speech? This book will provide you with everything you need to know to accomplish what may be one of the most important speeches of your life! For many, being asked to give a Wedding Speech is the first time they will speak to a larger group, and these speeches may be done only once in a lifetime. Copying and pasting someone else’s lines off the Internet is just not good enough. 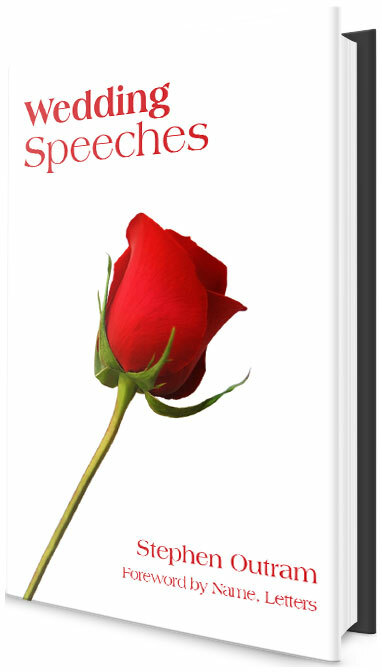 This book will assist you in creating your speech, with ease! Professional speaker, coach and author Stephen Outram connects you with what you need to know. Wedding Speeches is full of ideas and coaching for all of the speakers at your wedding. Discover a simple idea with 3 easy parts and begin organizing and preparing your Wedding Speech. How to convert what’s in your head, into a vital resource. Detail descriptions of the 5 key wedding speeches, including the Bride’s Speech—a woman’s role in transforming long-standing traditions. The real job of a wedding speech and your role in accomplishing it. 9 things you may have to handle that no one tells you about! Over 80 pages of information, ideas and techniques, designed to assist anyone who has been asked to give a Wedding Speech.